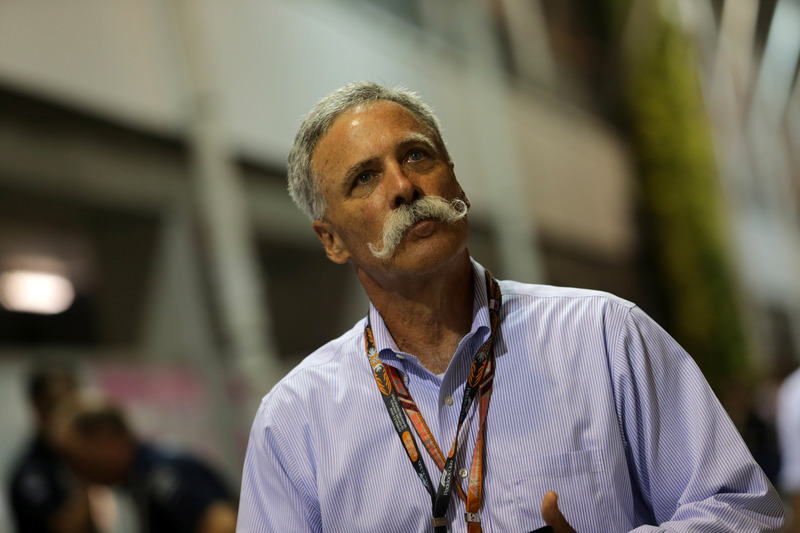 F1 CEO Chase Carey responds to criticism from race promoters about Liberty Media's handling of the sport and its vision for the future. Formula 1 CEO Chase Carey says Liberty Media will not change its plans for the future of the sport despite being criticised by grand prix promoters. Last week the Formula 1 Promoters Association (FOPA), which represents 16 of F1’s race venues, issued a statement following a meeting in London in which it highlighted a number of concerns over Liberty’s methods. Currently five races, the British Grand Prix, Italian Grand Prix, Spanish Grand Prix, Mexican Grand Prix and German Grand Prix are coming towards the end of their contracts, though the promoters of the Mexican GP were quick to distance themselves from the FOPA statement. Carey did not wish to comment on individual promoters but insisted he was not surprised to hear a difference in opinion. “The reality is if you get 21 guys in a room, a couple of them are always going to find something to complain about,” Carey told Sky Sports at the announcement of a new deal for the Azerbaijan Grand Prix on Tuesday. “I would end it saying that meeting, as well as our relationship with the promoters in general, we feel great about. The future of the British Grand Prix has been a long-term dilemma for F1’s commercial rights holder, after Silverstone Circuit boss Stuart Pringle confirmed the Northamptonshire venue had activated a break clause in its contract, meaning this year’s event is set to be the last hosted by the track unless a new deal can be reached. Carey said Liberty is “engaged” in talks with Silverstone and is seeking the right conclusion, while he acknowledged the British Grand Prix is a “valuable race”. “Silverstone is a valuable race, we appreciate what Silverstone has meant to fans and we’re engaged with them to see where we can get to,” he explained. “I guess this sport historically has liked to talk in public before they talk in private. We’re trying to do the reverse, talk in private then address in public what we have done.